Happy Star Wars day! There will be no spoilers in this review because...this has absolutely nothing to do with Star Wars. 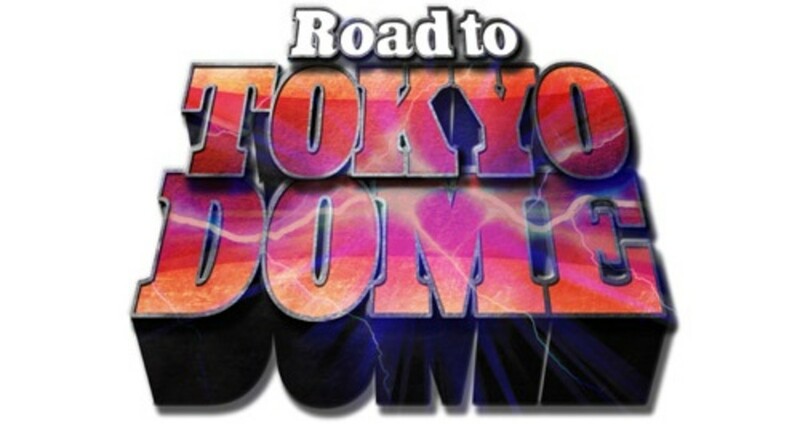 Instead we’re heading towards the Tokyo Dome, as the name suggests, which means we’ll be seeing a lot of tag matches related to the event. We’ll also see the NWA Jr. Heavyweight title on the line as Tiger Mask IV defends against Jushin Thunder Liger, and in the main event Shinsuke Nakamura battles the king of the hip attack, Ryusuke Taguchi. All here live at Korakuen Hall in Tokyo. They first aired a video highlighting the big moments of 2015 in New Japan, everything from WrestleKingdom to their joint shows with Ring of Honor in the US to what went down a few weeks ago at the World Tag League tournament. The usual good tag opener. Kojima and Finlay had some nice exchanges. Finally went to hit the ropes but Kojima clobbered him with a lariat and pinned him. Nice match. The crowd got really into it towards the end as Komatsu and Tanaka are great at selling and heightening the drama of a match. The World Tag League winners dominated a lot of the match. There was a submission spot that people got into where Tanaka wouldn’t submit to a Boston Crab by Makabe. They had some good back and forth until Makabe pelted him with a lariat to the throat, then hit the king kong knee drop from the top rope for the win. Just a match. Not a really good one, honestly. They just did some plodding work throughout and Yujiro’s antics only led to the finish. He and Yujiro worked part of the math, a lot was Sakuraba facing off against Cody Hall. Hall used power spots while Sakuraba grinded him down. He went for an armbar as Yujiro was about to break it up, but Yano low blowed him, distracted the ref and hit Hall to allow Sakuraba to get the submission win. Liger wore a completely different outfit here. If you’ve seen him in the past when he’s wrestling heavyweight matches (like in matches against Great Muta and Hashimoto) it’s something similar to that, with a different mask and no bodysuit, just tights. Liger looks in tremendous shape for someone that’s fifty years old. Tiger Mask tried for the tiger suplex at one point but Liger hooked Tiger Mask’s leg and they both fell. Crowd was dead for this for whatever reason despite both working hard and having a pretty good match. Liger submitted after Tiger Mask took him down with an armbar, then transitioned into a chickenwing and Liger verbally submitted. Solid match. They were teasing something between Naito and Milano Collection AT as Naito made him open the ring ropes for him. Naito then teased like he was going to attack him, but did nothing. Dorada accidently kicked Goto as Naito tripped him into the ropes and Bushi smashed Dorada’s face into the apron, sending him out of the ring. The usual finish here as Captain New Japan fought bravely against Evil and Naito but he eventually fell to Evil’s STO. Bushi ripped off Dorada’s mask after the mask and said he’d be the next CMLL welterweight champion. He grabbed Dorada’s belt and posed with it before making his exit with the belt. Taguchi was over tonight. Nakamura went for the boma ye but Taguchi fell to the floor. Taguchi came back with a hip attack and a springboard crossbody to the floor. Taguchi had him in the ankle lock at one point too. Taguchi went for a sliding hip attack but Nakamura rolled out of the way and took him down. Taguchi kicked out a boma ye from the top rope. Nakamura rolled out of a hip attack and struck down Taguchi with another boma ye knee strike for the win. Really nice back and forth match and way better than one would expect. Chaos worked as the heels and dominated Kushida in the match, nearly getting him eliminated from the top rope (those count in elimination matches in Japan). Shibata and Ishii worked together and the crowd was very into the elimination teases. They both made it to the apron where Shibata was about to take out Tomohiro Ishii to the floor when Yoshi-Hashi came in and dropkicked Shibata, sending both he and Ishii to the floor, eliminating them. Yoshi-Hashi and Robinson then went at it, which didn’t last long as Robinson missed a moonsault, which allowed Yoshi-Hashi to eventually pin him with the senton. Tanahashi came in and soon submitted Gedo with the Texas Cloverleaf, which left him and Okada together. They teased some back and forth, but it didn’t last long as Okada managed to get him over the top rope, eliminating him. That left Kushida, who worked over Okada’s arm. Okada gained control, hit a high fly flow to mock Tanahashi, and pinned him with the rainmaker to win the match. Good stuff throughout and the crowd was into it. Overall, this was a fine card. Watch the NWA Jr. title match if you can, and the top two matches were great. One of the better Korakuen Hall house shows in a while.